Pilgrim-Hunter Unable to Work, But Able to Campaign? The genesis of this post is strange. A few friends, the missus, and I were gathered in our apartment to watch the World Cup game between Ghana and the United States this past Saturday. During halftime we started to discuss the crowded 33rd district primary race. We were trying to figure out what each of the candidates did for a living, but could not figure out how Desiree Pilgrim-Hunter earns a living. One of those present said that he had read or heard that Ms. Pilgrim-Hunter was on Social Security Disability. I thought that this could not be true, what with her running for office and all, and her very active and involved image. I did preliminary research and couldn't find much. The most common epithet given to Ms. Pilgrim Hunter was "local activist," which I don't think pays the bills. A little more digging revealed an employment history of retail, cosmetics, and a welfare to work counselor. No current paying job could be found. Her most recent employment was as a regional sales manager for Avon almost a decade ago. Ms. Pilgrim-Hunter had been a welfare to work counselor for one year in 1995. Finally I contacted the campaign and had it confirmed that indeed Ms. Pilgrim Hunter is receiving disability checks and is indeed deemed unable to work according to Social Security standards. She has been unable to work since an Avon accident in 2000 that affected her back and rendered Ms. Pilgrim-Hunter incapable of carrying and loading boxes. Ms. Pilgrim-Hunter has received disability payments since 2006 and currently still receives them while on the campaign trail. A campaign official wrote in an email, "Desiree Pilgrim-Hunter currently collects disability checks through Social Security. Desiree Pilgrim-Hunter proudly paid into the Social Security system for 22 years, and now participates in it as a beneficiary." I think it is rather strange that a woman who can be a co-op board president, sit on the board of NWBCCC, be the most vocal member of KARA, and embark upon a vigorous campaign for the 33rd district is physically unable to find and maintain gainful employment. Also, I kind of feel that running a political campaign makes it pretty evident that a candidate is capable of working. This is the height of contradiction; on the one hand Ms. Pilgrim-Hunter is attempting to convince the voters of the 33rd district that she is able and capable of working hard for them in the state senate, but on the other hand, she has convinced the federal government that she is incapable of working (and she continually confirms this incapacity to work when she cashes her disability check every month). It must be a little easier to be so involved in the business of KARA and NWBCCC when you don't have to deal with that little thing called gainful employment. I'd like to volunteer a lot more myself, but alas, I have a job. I do not begrudge those on disability (it is a very necessary safety net for those who legitimately are physically or mentally unable to work); however, I think if you can physically do lots of things that seem to mimic real work without the paycheck, you can physically maintain regular employment. When asked if Ms. Pilgrim Hunter would forfeit her checks if she were elected, a campaign official in the same email stated, "The disability determination is not necessarily a permanent one. The system foresees re-evaluations to determine if a person's condition has improved to the point of no longer being qualified for benefits. Desiree has and will continue to comply with these rules." The ole BD thinks that now would be the perfect time for one of these "re-evaluations." The Friends of Williamsbridge Oval will be meeting this Thursday evening, 7/1, at 7pm at 3274 Hull Avenue. Not a bad price for a two bedroom in a decent hood. This stretch of the Concourse has gotten some attention recently with the roadway's 100 year anniversary last year, the new Yankee Stadium opening over a year ago, and a move to landmark a stretch of the Concourse from 167th and a bit south to 153rd streets. Split the $1450 with a roomie and start saving money so you can move your attention to the sales listings, rather than the rentals. 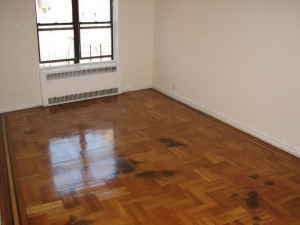 You'd be close to the Bronx Museum of the Arts in this unit. You'd also be close to Yankee Stadium (if you could ever afford tickets) and Joyce Kilmer Park. There's some shopping down near 161st and along Walton. Further afield is the Gateway Center. The transportation is pretty nice. You have the D/B at 161st (and the 4 at 161st as well for east side access). The Yankee Stadium Metro North is a little far south for this apartment, but it's there too all the way down on 153rd Street. Sam Dolnick has a very eye-opening piece about the City denying the 161st Street BID's attempt to broadcast this Saturday's World Cup match between the U.S. and Ghana. Just 48 hours before the match, the Street Activity Permit Office denied the permit for the event. The BID has held other events there and was expecting the usual rubber stamp treatment. In fact, organizers were so sure of the approval they spent $5K for projectors and port-o-potties. The event had also been widely publicized. Because the 161st Street/Yankee Stadium area is one of the city's largest Ghanaian communities, the expected attendance was just too large for the City. The crowds would supposedly create a security threat. Alternate sites, like Joyce Kilmer Park were also denied. I can't help but wonder if this decision is based on the borough in which the viewing is taking place and the continent from which the American team's opponent hails. If the U.S were playing Greece, would a viewing in Astoria be canceled? WATB wants to help you become a leader in the Bronx non-profit world. 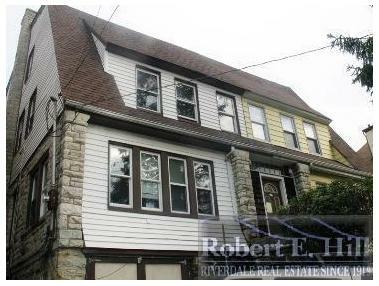 This semi-detached single family is priced right, but must need significant renovation. 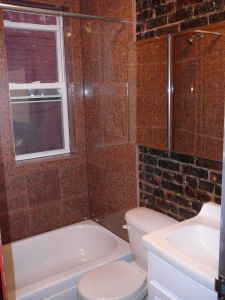 There are no interior pics and the listing indicates that it "needs work." The place does have a one-car garage, which helps. 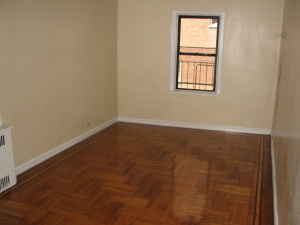 The listing also gives a range of bedrooms (5-6); I wonder how raw this space is? The hood is a nice family-oriented nabe. You'd be close to Ft. Independence Park and Van Cortlandt Park, and be in walking distance to the Bronx Ale House (always a good thing). Shopping is decent with the Target complex down in Marble Hill; Garden Gourmet is reasonably close; and you'd be proximate enough to Riverdale to poach some of the hill-dwellers' amenities. Transportation is good with the 1-train at both 238th and 231st streets (you'd be kind of equidistant) and Broadway. For east side access you'd have a little further walk (but not crazy) to the Mosholu Parkway 4 train stop. It looks like Montefiore Medical Center is really stepping up its game in terms of programming for its employees and local residents. We were alerted to the lunchtime concert series held every Monday by a BxNN post about the recent Fingees set. When we clicked through to the longer Norwood News article about Montefiore's new courtyard we discovered a very nice schedule of programming from the hospital. MMC is located in the northwestern part of Norwood at the intersection of 210th Street and Bainbridge Avenue. We'll be sure to get over there at sometime and let you know what we think. 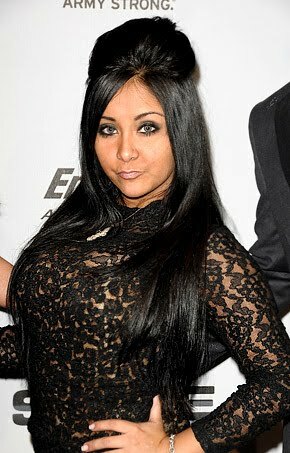 It came to light yesterday via Page Six that Jersey Shore's Snooki is looking to get an apartment in the Bronx because of her perceived preponderance of guidos in our beloved borough. Curbed even suggested (or expected) the ole BD to switch its tagline to "There's loads of Guidos here!" I wonder where she will look? What's the most guido-riffic hood in the BoogieDown? Belmont? Morris Park? Throggs Neck? In any case, if you read this through a google alert, Snooks, the BoogieDowner wants an interview. And maybe you can get us an interview with the Bronx native and fellow JS cast member, Ronnie. In the mean time, be sure to make use of the BD's "For Those On the Hunt" feature. It might make your search a little easier. You're welcome. The first Friends of Mosholu Parkway event this Saturday was a success. Despite a modest turnout, those gathered got to hear live jazz, poetry, reggae, and hip-hop. A big thank you to all the performers (This is Pressure, Rachel Simon, Lis von Uhl, and Urban Unity) and to those who helped put this together - the Friends as it were - (Christin, Barbara, Fernando, and Lou). Lis, we place the blame for forgetting to snap a photo of you squarely on the shoulders of newborn Lily and terrible twos Pearl - please extend our sincerest apologies to Cheddar as well. Make sure to get over to Lehman College tonight to catch the last night Bronx International Film Festival. Tickets are only $5! For more info see the festival's website. In a few moments, Bhadraksh will announce to the one he has always loved that he wants to end the relationship. Bhadraksh is a guide, a shepherd, a lighthouse standing proudly in the midst of the ocean, a rampart against masculine weakness. Make sure you get to Lehman College over the next few days to check out the Bronx International Film Festival. Tickets are only $5! For more info see the festival's website. Any reactions from the first night? With Anchovies Without Mamma - Trailer from Thomas Justino on Vimeo. Cosimo Lechesi’s world was torn out from under him when his dear old “Mamma” suddenly died due to a slip up at a local pizzeria. What was to be a plain cheese pizza shared for supper between mother and son, turned into a fatal mistake by an inattentive pie guy. An unfortunate anchovy lurked with the clinched hand of fate. Mamma was gone. Her physical aversion to the fish was too much to overcome. Following Mamma’s death, Cosimo found his existence consumed by feelings of guilt and confusion. Each day that passed, new questions haunted him. Pushed to his limits by these feelings, Cosmio decided he was going to seek retribution for his loss. On the anniversary of Mamma’s passing, an order was placed at the pizzeria responsible for the incident. LARGE PIE WITH ONE ANCHOVY...to be delivered. Scott Conti, a down on his luck delivery boy, would quickly realize that his luck was about to get much worse. What had begun as just one of those run of the mill “bad nights”, thin tips and bottom rung runs, would soon become a nightmare the likes only experienced by Dante during his descent through the Inferno. The Large Pie with one anchovy, his delivery and his bloody cross to bear. 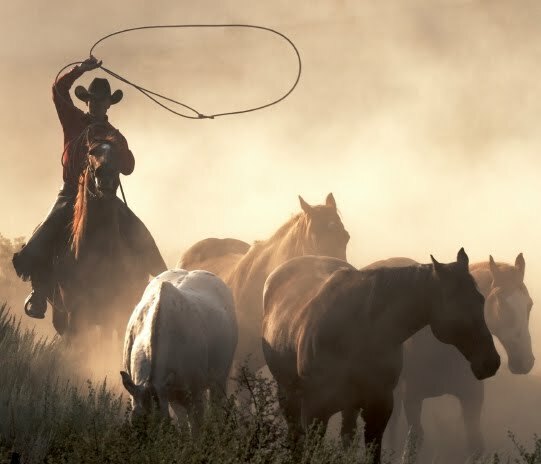 Scott arrived at the house to find himself staring down the barrel of a wild west pistol and into the eyes of a man who was lost, and desperately seeking closure. Master crime writer Cecil Garret prepares to weave these events into a tapestry of hard boiled prose, as the incident is analyzed by those that were affected by this fateful night. With Anchovies...Without Mamma is an investigative look at love, loss, pizza and the depth of circumstance. We just wanted to post a commentary/follow up to the story broken by BxNN about state Senate candidate Fernando Tirado taking a forced leave of absence from CB7. While we understand the board's decision (district manager is a different species of job than, say, working at the Gap), it just makes us feel a bit despondent over the current state of politics; it seems like CB7 is feeding into the current political culture. The odds continue to be stacked against any working middle class person running for office. Does a candidate have to be independently wealthy, work for a political activism outlet, or have a health clinic from which to bilk funds to afford running for office? Thankfully, Mr. Tirado is moving forward with his campaign and slowly but surely gathering the requisite petitions to secure a ballot slot. If you are interested in supporting his campaign, please visit his website or his ActBlue account. It's Here...Bronx International Film Festival! Make sure you get to Lehman College over the next few days to check out the Bronx International Film Festival. Tickets are only $5! For more info see the festival's website. In 2003 Mark Henderson was one of eight backpackers taken hostage whilst trekking in the Colombian jungle. What had started as an innocent tourist adventure, ended up as 101 terrifying days of captivity and uncertainty about his future. Eleven months after his release Mark received an email from Antonio, one of his kidnappers, and one of the other hostages received a facebook friend request from Antonio’s girlfriend, another of their captors. That email was the start of a five-year correspondence between hostage and kidnapper that eventually drew Mark back to the one part of the world he thought he’d never see again and face to face with the man who had once held the key to his freedom. My Kidnapper is an emotional journey into a kidnapping, told from all sides. This deeply personal, authored documentary follows Mark and three of his fellow hostages as they return to the Sierra Nevada mountains in northern Colombia, the place where they lived out their worst nightmares. As they travel deeper into the jungle, they discover the truth behind what happened to them, come to understand how they all dealt with the ordeal and finally have the chance to confront two of their kidnappers. For more on FOMP, click HERE. First, the important stuff: to receive free tickets to the festival please email (boogiedowner[at]gmail[dot]com) the answer to the following Bronx film trivia question. 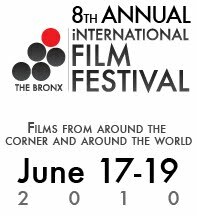 The old BD will be doing a little countdown to the Bronx International Film Festival which starts Thursday June 17th and runs to Saturday June 19th. Each day leading up to the festival we'll post a clip and a little synopsis to whet your appetite. For more info see the festival's website. And if you, dear readers, would like to go to the festival for free, you should try to bone up on your Bronx film trivia; there will be chance to win a pair of tickets to the festival tomorrow! Make sure to check back tomorrow for the details. Bryce and Nadia have been dating for about 3 months when Bryce decides to bring her to his favorite sledding hill. After a little persuasion, Nadia agrees to ride with him down the steepest slope on the hill. As they are barreling down the hill, Bryce leans in and whispers 'I Love You' into Nadia's ear. When they reach the bottom of the slope, Nadia is not sure if she heard Bryce's whisper or not. And Bryce is not giving her any clues. They continue to go sledding together for the rest of the winter. Each time they descend the slope Bryce chooses the most treacherous moment to lean in and whisper into Nadia's ear. Come springtime, they must part ways because Bryce is leaving to study abroad. Years later Bryce returns to sledding hill and reveals why he had only spoken those words to her while speeding down the slope. Special When Lit rediscovers the lure of a lost pop icon - pinball. This American invention made more money than Hollywood through the 50s and 60s. Its success swept the world making it the epitome of ‘cool’. Today pinball is all but forgotten. This is the definitive story of the rise and fall of pinball as told by the fans, collectors, designers and champion players from across the globe. A game, a sport, a lifestyle – pinball takes this eclectic bunch of self-confessed ‘pinheads’ back to their youth as they open up passionately pinpointing the attractions of the ‘world’s funnest toy’. Archive footage of former US news anchorman, Dan Rather, opens the film from a 1977 ‘60 Minutes’ segment on pinball. Dan Rather captures a past time repeated by thousands across the world. ‘I used to steal pop bottles to get dimes’; ‘it was the place where parents told you not to go’; ‘my parents used to think I was going to church Sunday...but I’d be at the corner store playing pinball’; ‘all the back lot ma and pa store’s had a machine’. Pinball was everywhere. Simply everywhere. Now pinball is virtually nowhere. Kids don’t even know what a pinball machine is. People stay home for their entertainment and kids hang out online, not at the arcade or corner store. The fate of pinball seems decided yet there exists a passionate sub culture keeping the dream alive. Whether it’s down at their local bar for a game, or choosing which game to play from a basement collection, pinball is a reality trip to a universe in a box. The ball is wild and can’t be controlled, but the challenge to tame it never stops. It’s a world that’s special when lit. Roger Sharpe, tells the story of Pinball’s early rise to prominence in the Depression era, its banning by the US Government for 30 years, its comeback in the 1970s, and eventual defeat to video games. Living through the industry ups and downs, legendary game designers Steve Kordek, Steve Ritchie and Pat Lawlor reveal the inner workings of a game that fuses the mechanical and electrical ages. Starting with a primitive steel ball rolling around on a flat piece of wood, designers craft a game based on the simple premise - easy to play, but hard to beat. But pinball is a game with a score. And where there are scores to settle there are competitions. ‘The Storm’, a stockbroker from New York City, confesses that you have to ‘build up your pinball muscles’ to compete at the highest level. From the European championships in Amsterdam and Sweden, to the World Pinball Championships in Pittsburgh, and a smattering of amateur backyard tournaments in between, we share the tension, dreams and disappointments of pinball’s tournament players. Rick Stetta, former World Champion, entertains with his flamboyant playing style, while current legend Lyman Sheats counters with ice-cool precision. Each in a contest that is as much a mental game as physical battle. It is the story of former arcade owner, Steve Epstein, who ran the famous Broadway Arcade in midtown New York City, that draws the inevitability of pinball to a close. A man who ‘had a lot of life wrapped up in’ pinball saw his arcade close in 1997. Describing pinball as ‘a lot like life - you never know what is around the corner’, Epstein took the arcade closure hard and struggles knowing those days are gone forever. As Professor John Broughton from Columbia University describes, ‘the machine knows when you should go home’. 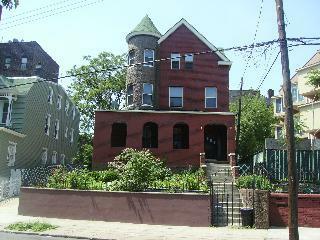 This is a pretty sensible house built in 1899. Unfortunately the interior pics with the listing are woefully blurry (you can try to squint them out after the jump), but the exterior and raw yard space are nice. Transportation isn't bad down here with the 4/5/6 stopping at 138th and the Concourse (although sometimes the express 4 and 5 bypass 138th in the am or pm rush). $399K might be a little high, but you have to think that people don't really expect to get asking in this market. And if they do, they might be waiting a while before unloading their properties. The Scavenger is the story of Joseph Garagalo, a WWII veteran who was in the 121st Battalion, U.S.N. Sea Bees, 4th Marine Division. Many years after his service during the war, he decided that his community was not doing enough to remember those who sacrificed for freedom. So he set out to create The Bronx Veterans Museum. The only problem was that no one wanted to give the museum a dedicated space. After many months of struggle, a very unlikely home opened its doors to a fellow American hero. The New York Botanical Garden's farmer's market is set to return this Wednesday June 16th. There will be a weekly market that takes place every Wednesday from June 16th - November 24th from 9am-3pm. The produce is always great and the breads are top notch. Whether you stop by just to get some fruits and veggies for home or simply to grab a muffin or an apple for your garden walk, the farmer's market is a great seasonal addition to the neighborhood and the Bronx. Save the Date: Bronx International Film Festival Coming Up! Mark your calendars...The 8th Annual Bronx International Film Festival is coming to Lehman Stages/Lehman College June 17th - 19th! You'll find all the preliminary info you'll need below. Please stay tuned for more info regarding specific films which will be screened, as well as the chance for one lucky reader to win two complimentary passes to the festival!! The Bronx Stage & Film Company presents the 8th Bronx International Film Festival (BXFF) on June 17 - 19 at Lehman Stages/Lehman College showcasing new narrative and documentary films and filmmakers from around the world. Responding to the international evolution of the festival over the last several years, the Bronx Independent Film Festival is officially adopting the name Bronx International Film Festival to better represent the range of films and talent. Visit http://bronxfilmfestival.com for developing festival information. The reservation and information line is 718.907.0079. BXFF is also on Facebook: http://www.facebook.com/BronxFilm and on Twitter: http://twitter.com/bronxfilm. Lehman Stages is conveniently located on the CUNY campus of Lehman College at 250 Bedford Park Blvd West near the #4 and D lines and just minutes away from Westchester and the GW Bridge. A century ago The Bronx was home to two well-known silent film studios, The Edison Studios on Decatur Avenue & Oliver Place (a few blocks from the location of the Film Festival) and Biograph Studios a.k.a. The Gold Medal Studios at 807 E. 175th Street. Edison Studios’ notable contributions to cinema included one of the first horror films, “Frankenstein,” released in 1910, and the first serial film, "What Happened to Mary" released in 1912. The 14-minute “Frankenstein,” starring Charles Ogle, took an entire week to film. This was a highly unusual schedule for the time. Silent movies were usually filmed in one day. "What Happened to Mary" began a series of 12 episodes starring Mary Fuller. The silent film studio closed in 1918, but the Terry Brothers reopened the space in 1935 to start Terrytoons, employing Bronx artists to hand paint the first animated color cartoon films. Biograph Studios launched many silent film careers including director, D.W. Griffith; cameraman Billy Bitzer; and actors Mary Pickford, Lillian and Dorothy Gish, Harry Carey, Lionel Barrymore. Some twenty years after the sound stage closed, Martin Poll restored Biograph Studios and reopened it as the Gold Medal Studios (the largest film studio outside of Hollywood) where TV’s “The Naked City,” “Car 54 Where are You?” and movies like “Odds Against Tomorrow,” “A Face in the Crowd,” “The Fugitive Kind,” “Pretty Boy Floyd,” and “Butterfield 8” were filmed. Mr. Poll worked to simplify NYC filming permits and had the distinction of being sworn in as the Commissioner of Motion Picture Arts (precursor to the NYC Film Commissioner) on July 21, 1959 by then Bronx Borough President Lyons. The Bronx International Film Festival was established to honor and revitalize the history of film in The Bronx and provide a new opportunity for filmmakers to submit work and a hub for audiences to appreciate it. The Festival places special emphasis on film submissions with an urban appeal; however, all filmmakers with a visual story to share are encouraged to participate. BXFF showcases short and feature narrative, documentary, animation and experimental submissions from all over the world. The Bronx International Film Festival is made possible with public funds from the NYC Department of Cultural Affairs, the support of Lehman Stages, Bronx News Network, BronxNet and Made in NY. The establishment has a valet service, ample dining space and bar inside two floors. But most inviting of all, a rooftop cafe with greenery, a bar, and umbrella-sheltered tables. After a quiet “soft opening” the week before, Pine Bar & Grill had its festive grand opening on Wednesday night, June 2. Numerous members of the Bronx Chamber of Commerce showed up to help kick off the new business, and many people couldn’t stop raving about the menu’s offerings, which manager Jennifer Francica said matches its posh decor. It will be a while before ErLu's life returns to a semblance of normalcy and affords us an opportunity for a date night. Thus, we need BD operatives to scope out the joint and report back to see if Pine Bar and Grill is worth our precious date night dollars. Has anybody been to F&J Pine, the other Bastone family eatery? "Bronx Chamber Helps in Grand Opening of Pine Bar and Grill"
BD Restaurant rundown: My favorite 187th restaurant is Tra Di Noi, but to be honest if you lived here you would be REQUIRED to go to Emilia's on Arthur Ave. - simply the best! And try to get a table at Mayor Bloomberg's beloved Roberto's on Crescent Ave. - very good, but in my opinion, a tad overrated. For brick oven pizza everyone raves about Zero Otto Novo, because it is owned by Roberto of the aforementioned Bloomy favorite, but ErLu prefers Antonio's, which is tucked away on Crescent Avenue. There is a whole host of other restaurants to stop at, but we can't give a review of each...take a trip up here and start eating your way through the hood. Whatever you do, DO NOT waste your money on Umberto's Clam House. The ole BD has always been a bit intrigued by the Clock Tower building on Lincoln Avenue in Mott Haven. The nabe immediately surrounding the Clock Tower certainly has some cool things going for it (Bruckner Bar and Grill, Alexander's, Bronx Hydro and Garden, a handful of antique stores, and good transportation options) and the building itself is kind of unique (a converted piano factory). 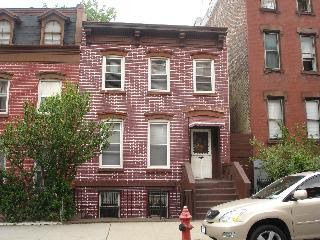 A little further afield in Mott Haven you also have Pio Pio and Santa Clarita. We'd never been inside the Clock Tower itself, even though it was profiled in a handful of our Listings of the Day. Well a few days ago a reader named Javi posted a comment on a rather old LOD from the infancy of the BD (August 2008) to sing the Clock Tower's praises. Just thought we'd pass it along and maybe try to elicit some other people's Clock Tower experiences. So does anyone else live (or have lived) in the Clock Tower? What's your take? 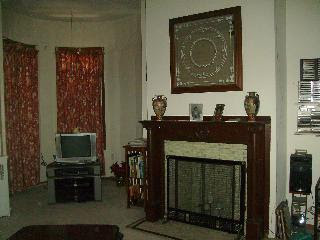 This is a very well maintained three family house in the heart of Bedford Park. 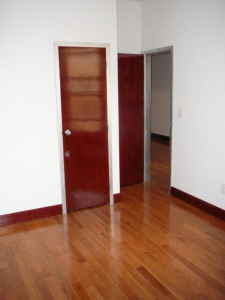 The home features 2 bedrooms, over 2 bedrooms, with a 1 bedroom apartment on the 3rd floor. The building has always been one of the stunners on 201st street. 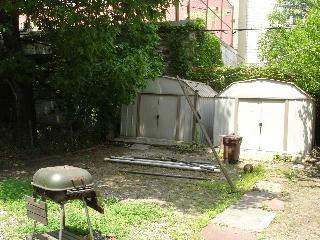 A huge bonus to this house in a veritable parking lot in the back with room for 10 cars! Major rental income from those spots in the parking deficient environs of Bedford Park. The missus and I always marvel at the beautiful roses that are seasonally present in the front garden. You'd be down the block from the Botanical Garden Metro North station and also the station's eponymous verdant living museum. Subway access abounds with the D/B and 4 trains on Bedford Park Boulevard at the Concourse and Jerome Avenue respectively. Some basic shopping is found on Bedford Park Boulevard (pizza, diner, bar, dry cleaners, hard ware, big-ish bodega s, pharmacies, etc.). Bigger shopping can be done at the Target complex in Marble Hill or Fordham Road. For the roadsters out there Westchester offers Stew Leonard's and Costco off the Deegan, and a new Fairway just north of the Bronx border on Boston Road in Pelham. From the inbox...this looks like so much fun! Mark your calendars for “Riverdale Riverfest 2010,” a FREE celebration of the Hudson River, which will feature music, entertainment, food, and a variety of environmental and river-oriented activities and exhibits, including one about the Bronx Hudson River Greenway project. Breaking news: the Mystic Whaler sloop and John J. Harvey fireboat will be docked at the festival and available for free public boarding and sails! The festival will take place Sunday, June 13, 2010, from 1 to 5 p.m., on Marillac Lawn and St. Vincent’s Point on the campus of the College of Mount Saint Vincent. These locations at the water’s edge offer spectacular views of the Hudson and Palisades and will get people close enough to the River to reach out and touch it. Check out the event Web site at www.riverdaleriverfest.org for more details and to see how you can sign up to volunteer or make a tax-deductible financial contribution to support this wonderful community event. 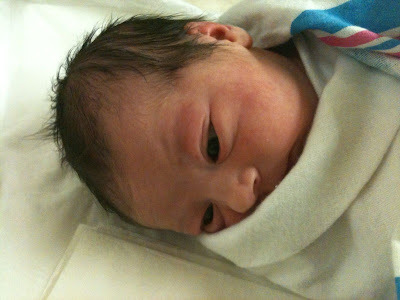 First, we want to thank all of you for the well wishes and the kind words. Baby, big sis, and mom are doing well. It's going to take a while to get back to full blogging capacity, but we figured we pass on some hearsay and conjecture into the blogosphere. Here's a little article from this weekend's real estate section in the NY Times profiling Longwood resident Roberto Garcia, who works as a director of community relations Montefiore Medical Center. Now you know we're suckers for Bronx-related real estate stories, but what makes this even more interesting is that Mr. Garcia is rumored to be on the short list to replace the recently retired Dart Westphal as head of Mosholu Preservation Corporation. MPC is an affiliate of Montefiore Medical Center and is the publisher of the Norwood News, the Bronx News Network blog, and a growing number of local Bronx neighborhood papers. Anybody have any substantive info on this? Who else is on the short list? Are these rumors wildy speculative? Well, the ol' BD is checking into the hospital today to welcome baby #2. We just wanted to let you, our lovely readers, know because of course posting will be light for the next few days (weeks, months, years? just how much work are these second children?). Register Online for the Bronx Green Business Summit...It's Free! The Bronx Green Business Summit, which is being hosted by EcoVentions and Goodwill Industries of Greater New York and Northern New Jersey, will take place at the Ethical Culture Fieldston School (3901 Fieldston Road) on Friday, 6/25, from 9am to 4pm. All the details you'll need can be found in the flyer below, or on the summit's website. Please note that attendance is free, with the option to pay $25 to take part in the keynote luncheon. There will be a Charter Revision Commission Hearing regarding voter participation at Lehman College in the Faculty Dining Room in the Music Building tomorrow, 6/2, at 6pm. The forum is open to the public, and will also be streamed live on the commission's website here.